Wellington, FL – Palm Beach Equine Clinic (PBEC) of Wellington, FL, has a team of 30 skilled veterinarians, including three Board-Certified Surgeons, one of the world’s only Board-Certified equine Radiologists, and numerous other experts in their fields. 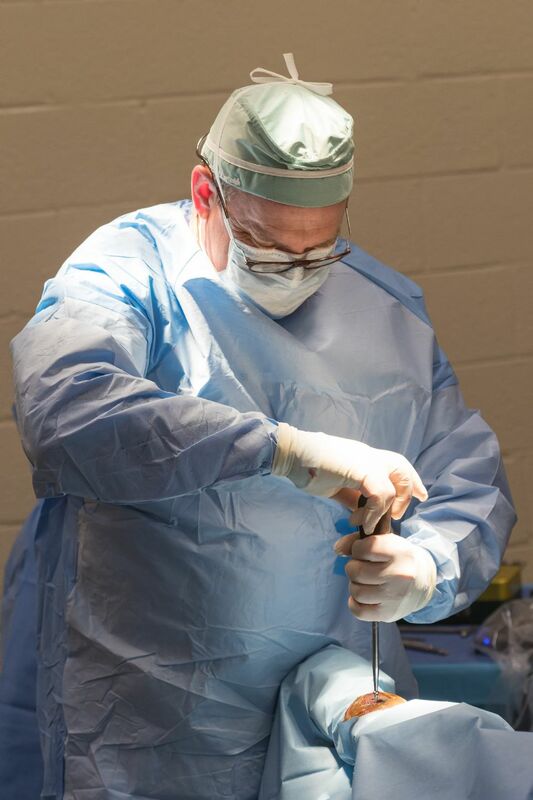 PBEC’s surgical team leader, Dr. Robert Brusie, is a nationally renowned Board-Certified surgeon whose surgical specialties include orthopedic, arthroscopic, and emergency cases. Dr. Brusie has been the head surgeon with PBEC for the past 20 years and is a beloved part of the team. Dr. Brusie graduated from Michigan State University College of Veterinary Medicine. He completed his surgical residency at the Marion DuPont Scott Equine Center in 1989 and has been in private practice ever since. He became a Diplomate of the American College of Veterinary Surgeons in 1994. 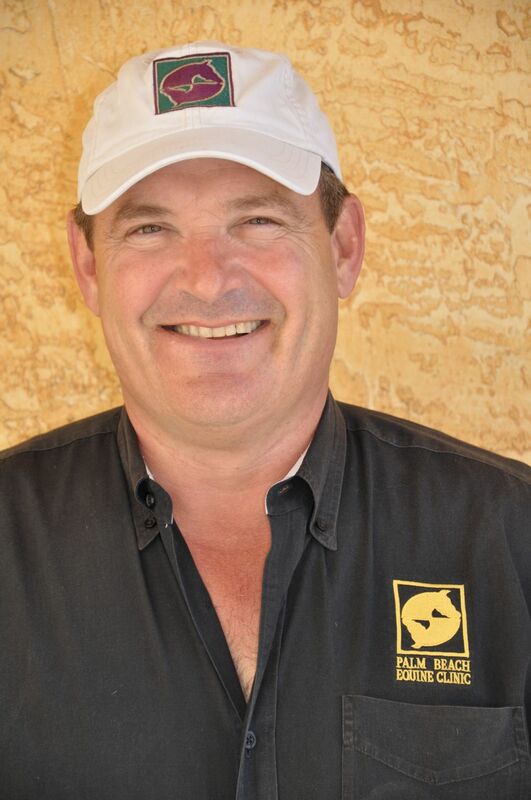 Dr. Brusie joined Palm Beach Equine Clinic in 1996. 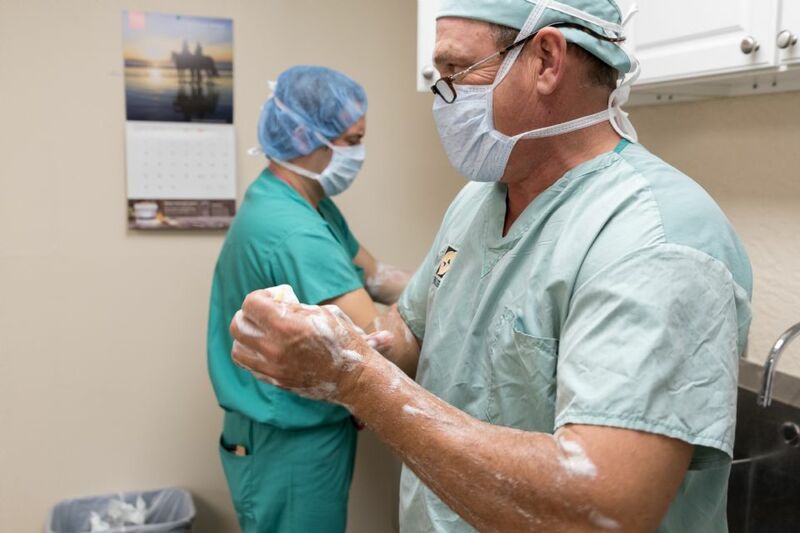 Dr. Brusie is a Board-Certified Surgeon who is recognized for his expertise in colic surgery, as well as for his skill in arthroscopic surgery. His surgical experience expands the clinic’s progressive care in both emergency and elective procedures. He has published articles on numerous topics, including the equine intestinal tract and septic arthritis in horses. Dr. Brusie is married and has three daughters. Read on to find out more! What was your background with horses growing up? I grew up on a farm in Michigan. We had usually between 200-600 head of cattle and always between four to six horses. Our horses were cow ponies or driving horses. My dad loved horses and had to have them around. My family has owned our farm for six generations – it pretty much occupied all of our time besides sports and school. Needless to say, we didn’t have much time to show horses. When and why did you decide to become a veterinarian? Did you know you wanted to be a surgeon from the start? I decided to become a veterinarian at an early age. I think I was seven or eight years old when I pulled my first calf. One of my dad’s hired men called me ‘doc’ when I was about that age. When I went to college, my plan was to become a large animal veterinarian and live in my hometown and continue to farm part-time with my three brothers. All of that changed when I was in Veterinary school at Michigan State University. Dr. Ed Scott was one of the five surgeons at MSU. He was a gifted surgeon and a great teacher. He kind of steered me into an equine internship at Auburn University. It was one of those things that the more you did, the more you wanted to do to improve yourself. I operated my first colic by myself when I was three weeks out of vet school (32 years ago). How did you first start working at PBEC? I was a surgeon at a clinic in Atlanta. In 1996 I had performed a surgery for a client of Dr. Paul Wollenman’s. He had started this practice in 1975. He asked me if I needed a job. I was planning on staying in Atlanta for the rest of my career. I received phone calls from the other two partners over the next nine months, and eventually with encouragement from my fiancé, now wife Melissa, I took the job. What do you love most about working at PBEC? We have an exceptional group of veterinarians and staff here. The depth and scope of our veterinarians is amazing due to the large caseload. On any individual case, there may be two to three doctors that have input on the case to ensure no stone is left unturned. Additionally, we are so privileged to work on some of the best show, race, and polo horses in the world. It is truly an honor. What sets the surgical services at PBEC apart? Between Drs. Gomez, Davis, and myself, we perform just about every soft tissue and orthopedic surgeries that are done in our field. Personally, my greatest sense of success is when I see a horse back after surgery going as good or better than it was prior to surgery. What are the biggest changes you have seen in sport horse medicine over the years? Currently, the most exciting thing we see going on in medicine is regenerative therapy. Twelve to 15 years ago, we were harvesting bone marrow from the sternum and injecting it into lesions in tendons and ligaments. Now we manipulate the bone marrow or other sources of stem cells to promote more rapid and more functional healing of some of these injuries. I can assure you that in 10-20 years what we are doing now will seem stone-aged by then. There are some very clever minds performing some serious research in this field. How do you stay up-to-date on new medical advances? Every veterinarian at PBEC tries to attend as many meetings as time allows. We also do weekly journal club at our clinic to discuss recently published papers in veterinary and human medicine and surgery. What is the most interesting or challenging surgery that you have done? Dr. Gomez and I had a three-year-old racehorse that had split his P1 (long pastern bone) and cannon bone in the same leg in a race. We were able to piece together both bones perfectly and the horse recovered brilliantly. He probably could have returned to racing, however, the owners elected to retire him to life as a breeding sire. How do you spend your free time when you are not working? When I’m not doing something with my family, I really enjoy woodworking. My current project is building a kitchen table for Sarah, my assistant of 12 years. In the summer, I get roped into helping on my brother’s farm. What is something interesting that people may not know about you? I have three daughters who I am very proud of and tend to brag on maybe a little too much. My oldest, who was a nationally ranked swimmer, is now an anesthesiologist in human medicine. My middle one is either number four or five (depending on the week) in the nation in debate, and my youngest will probably run the free world (you will have to ask her if she wants to). How else is the family involved in horses? My wife (Melissa) and youngest daughter (Kayla) are horse nuts in the true sense of the word. Anything to do with horses (especially show hunters) they are dialed in. Melissa loves riding, and Kayla shows in hunters and equitation. 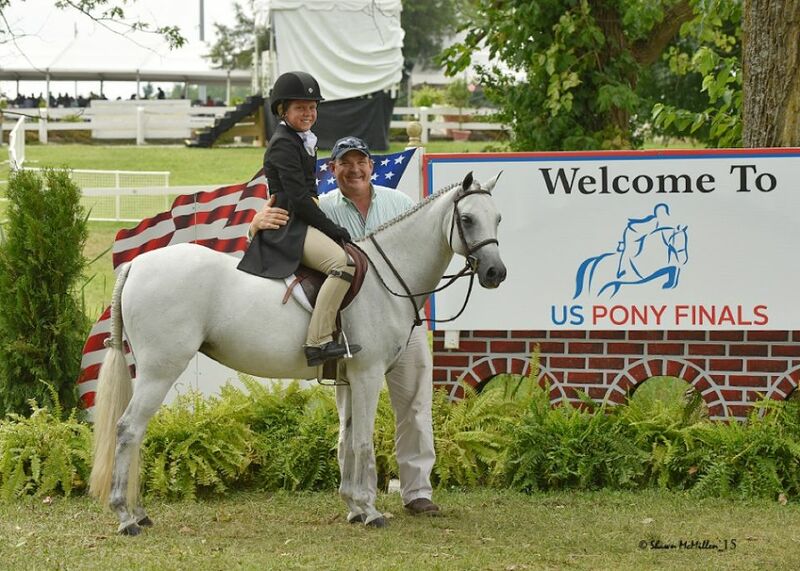 Dr. Brusie and daughter Kayla at U.S. Pony Finals in 2015. What makes PBEC a special place for you? I am blessed to have three good men as business partners. They are my good friends and great people. We are very lucky to have 20-plus veterinarians working with us who are very knowledgeable and caring individuals. We feel like a little practice, but with a lot of people who just get the job done. The veterinarians and staff of PBEC are respected throughout the industry for their advanced level of care and steadfast commitment to horses and owners. With 28 skilled veterinarians on staff, including three board-certified surgeons, internal medicine specialists, and one of very few board-certified equine radiologists in the country, PBEC leads the way in new, innovative diagnostic imaging and treatments. Palm Beach Equine Clinic provides experience, knowledge, availability, and the very best care for its clients. To find out more, please visit www.equineclinic.com or call 561-793-1599. “Like” them on Facebook to follow along on what happens in Wellington and more, and get news from their Twitter!